Dream big! Taylor Swift wants her Beverly Hills mansion, formerly owned by movie mogul Samuel Goldwyn, to be listed as a historic landmark, according to the Beverly Hills Courier. The local newspaper reported that "at the request of the property owner," the Cultural Heritage Commission plans to consider designating the lavish six-bedroom, five-bath abode as a local historic landmark. Swift, who purchased the 10,982-square-foot property for $25 million in September 2015, reportedly wants to ensure the home is "preserved." The prestigious Samuel Goldwyn Estate, which is located at 1200 Laurel Lane in Beverly Hills, was built in 1934, when Goldwyn commissioned architect Douglas Honnold. In addition to the six bedrooms and five bathrooms, the historic house features a formal dining room, movie theater, library, gym, swimming pool and pool house. It also includes a private guest suite above the garage. According to Mansion Global, Swift&apos;s architects are working at great lengths to restore the home&apos;s windows, rehab the wooden fencing and reconstruct columns near the pool cabana. "Really, when this project&apos;s done — hopefully this year, sometime soon — it&apos;s going to be really spectacular," architect Monique Schenk said at a commission meeting on Wednesday, January 11. "We&apos;ve preserved and maintained a lot of the elements, and those that were deteriorating, we&apos;ve replicated." 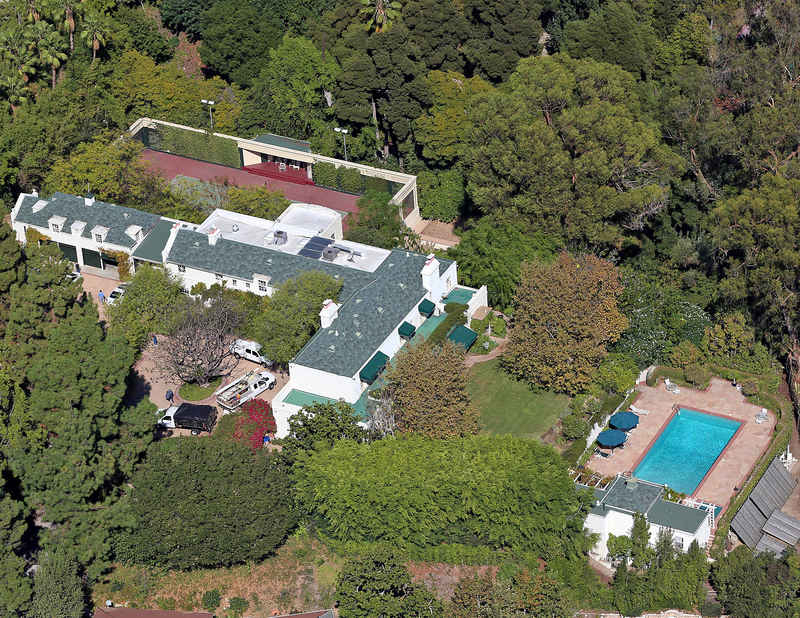 Goldwyn, who produced Samuel Goldwyn Productions films such as Guys and Dolls (1955) and The Best Years of Our Lives (1946), hosted countless Hollywood stars when he lived in the home, including Charlie Chaplin, Clark Gable and Marlene Dietrich. Goldwyn&apos;s son, Samuel Goldwyn Jr., was also a famous movie producer and was the father of Scandal actor Tony Goldwyn. Swift, 27, also owns a Nashville home, a New York City penthouse in Tribeca and a beachside mansion in Rhode Island. The Beverly Hills Cultural Heritage Commission&apos;s five members voted in favor of the entertainer&apos;s request to landmark the home. The city council will vote to finalize the designation at an upcoming meeting, Mansion Global reported.